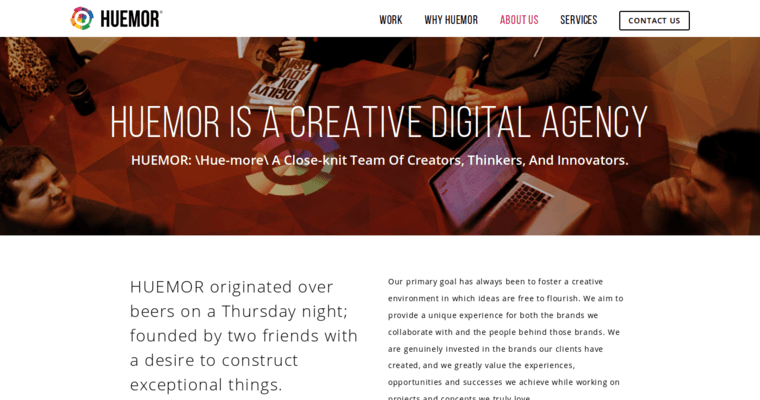 Huemor Designs is a dynamic digital agency that empowers business owners by providing them with the services, systems, and strategies necessary to ensure that their online presence is persuasive, progressive, powerful, and profitable. The professionals of Huemor Designs are effective because they challenge assumptions, question everything, and make it memorable. Because of their commitment to excellence, the Huemor Designs professionals have won several awards. Additionally, the company's commitment to maintaining a client-oriented approach empowers them to ensure that the business owner's preferences and brand vision always come first. If you want your organization to become increasingly influential in the online domain, be sure to contact the professionals of Huemor Designs!